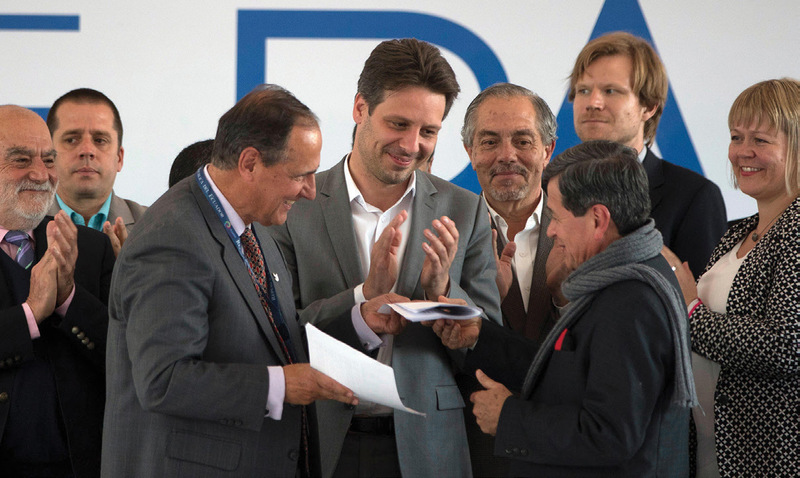 Pablo Beltrán and others in the ELN’s peace delegation address the media during talks in Quito earlier this year. 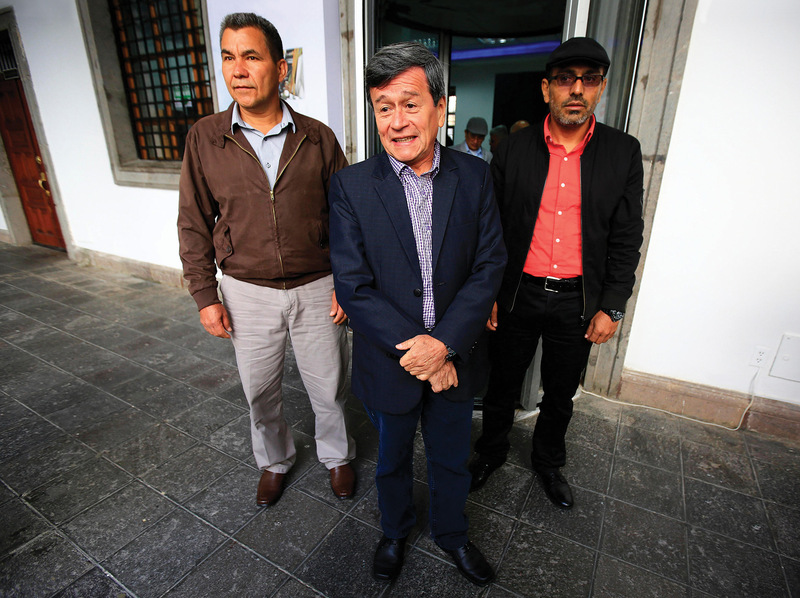 Pablo Beltrán (right) and Colombian government representative Juan Camilo Restrepo (left) in talks to end five decades of conflict. Mónica Del Pilar Uribe Marín is editor of Prisma magazine and is currently working in Colombia. 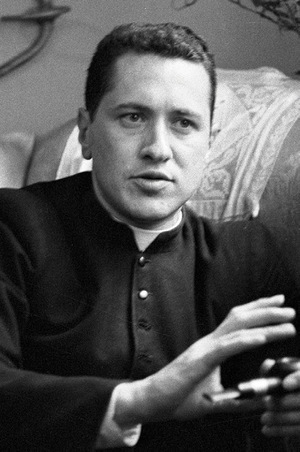 Catholic priest Camilo Torres joined the ELN in 1965. He was to become a leading light.